Prove your driving skills in this highly addictive stunt game! 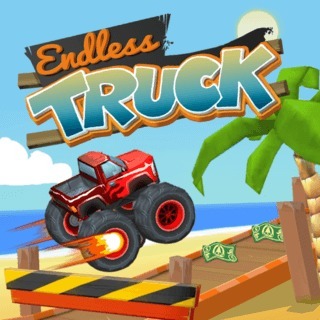 Race your monster truck over ramps, collect money and try to drive as far as possible. Perform crazy flips, avoid bombs on the track and complete missions to earn additional cash. Stop by at the garage to upgrade your verhicle and go even farther. Can you achieve a top spot on the leaderboard?